Readers of this blog won't be the slightest bit surprised by the findings of a GAO report released today. When Cox became chairman in August 2005, he stepped into a partisan dispute among SEC commissioners over whether it was appropriate to sanction public companies for violating securities laws. Democratic commissioners argued that fines helped deter misconduct. Republicans countered that shareholders ultimately paid SEC penalties. The SEC issued guidelines in January 2006, stipulating that the agency would consider how much an alleged fraud benefited the company and the impact on shareholders before imposing a fine. Cox, now 56, set up a procedure in 2007 that required enforcement attorneys to seek approval from commissioners before negotiating corporate penalties. Previously, SEC investigators could enter into settlement talks without obtaining permission. 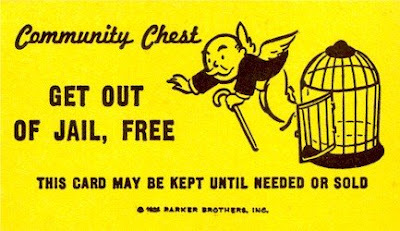 The GAO report doesn't specify the names of companies given a "get out of jail free" card by Cox's new policy, which "led to 'fewer and smaller' corporate fines, reduced incentives for corporations to cooperate with SEC investigations and generated a backlog of cases." But one beneficiary is perfectly obvious: the corporate crime petri dish Overstock.com. Last year, the SEC announced that it was dropping a lengthy investigation of the company despite evidence of blatant accounting improprieties. Overstock, encouraged by the SEC's negligence, ratcheted up its use of smoke and mirrors to fictionalize its recent financial statements, as described in an item the other day. Schapiro can prove she's serious by reexamining the cases dropped by Cox, and seeing to it that the Overstock.coms of this world stop getting away with inflating their financial statements.